The president of the Nigeria Computer Society (NCS) Prof. Adesola Aderounmu, has called on the Federal Government (FG) to formulate a new national information and communications technologies (ICT) policy that will incorporate digital inclusion as a pivotal factor for driving socio-economic and political development, reports ITRealms. Aderounmu made this call in his address at the ongoing 27th national conference of NCS at the International Conference Centre (ICC), University of Ibadan, Oyo State on Tuesday. According to him, the new policy should cover ICT infrastructure, broadband internet, fiber optic communication, local content prioritasation and regulatory framework. "It's my belief that building a digitally connected, prosperous Nigerian society requires taking advantage of the opportunities of digital inclusion, overcoming its challenges and strategizing for the future," he said. Also, he identified some three key areas of action to help digital inclusion become a reality in Nigeria to include access, affordability and application. He explained that access has to do with high speed internet access being available to all members of the society such that people who cannot afford digital technologies could do, so for free in public places. "Affordability means that access to the internet and digital devices is affordable," he said. Aderounmu equally said that application implies that digital technologies and services are usable by people with varying levels of digital skills and abilities, including people with disabilities. "For overall substance national development, nobody should be left behind," he said. 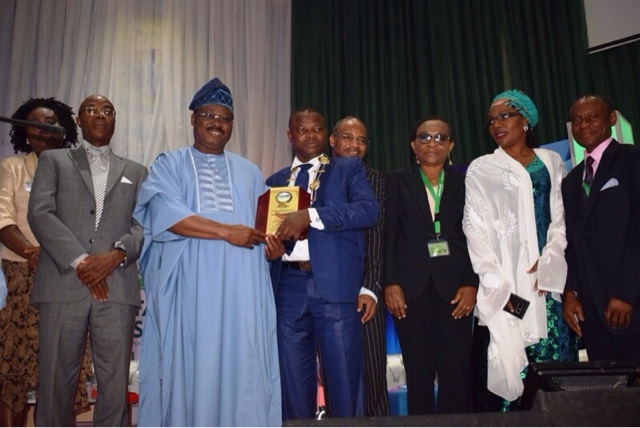 In his opening remark to the occasion, the Oyo State governor, Senator Abiola Ajimobi urged Nigerians to make the country to be digitally inclusive. In Oyo state, he said they are leveraging technologies to deploy quality health care for the people. He also said that in recognizing this fact, Oyo is the only state in West Africa to have The Technical University, stressing that digital inclusion must endear social inclusion to meet a country development plan. Digital inclusion, he said should be seen as a marathon not a sprint which require Public Private Partnership (PPP) as well as the civil society organizations. Earlier, the chairman of the conference committee of NCS, Mr Jide Awe, said the conference theme which is on "Digital Inclusion: Opportunities, Challenges and Strategies" is reflective of the desire and commitment of NCS to contribute towards the building of a prosperous digital nation that works for all.